It’s a rare thing to witness a band—let alone a band with seven studio albums and a dozen years of performing together already under their collective belt—follow their global commercial breakthrough LP with their most critically salient effort of their career. But this is precisely what the world observed when R.E.M. 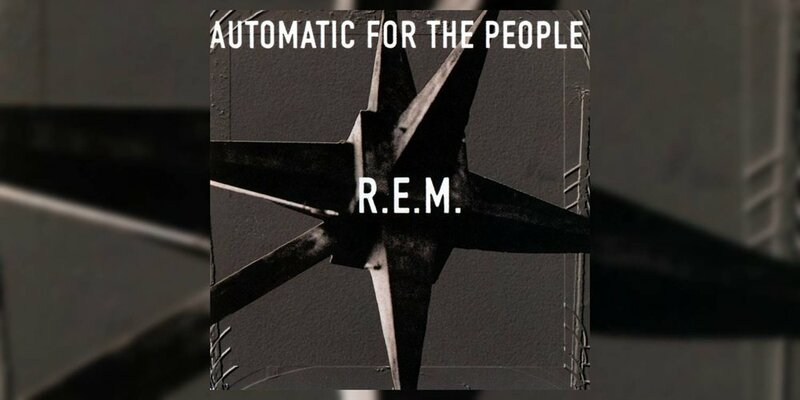 released their exquisitely crafted eighth studio album Automatic For The People 25 years ago on October 5, 1992, roughly a year-and-a-half after their massively successful 1991 LP Out of Time. A noticeably more plaintive and subdued song suite than its precursor (e.g., “Shiny Happy People”), Automatic found the group resisting the invariable temptation to embrace all-out rock-pop in exchange for refining the sophisticated, poignant songcraft they had carefully cultivated since their 1983 debut Murmur. "My feeling was—not in a negative way—is that it was kind of a down record with a lot of minor keys,” guitarist Peter Buck recently confided to Billboard. “And we were at the age when Michael (Stipe) was thinking a lot about mortality, so I didn't expect it to be a huge hit." While the Andy Kaufman inspired “Man on the Moon” and solemn, sympathetic “Everybody Hurts” remain the most recognizable songs from the album due to their ubiquity across radio and MTV, it’s arguably the handful of other less immediately familiar tunes that truly define Automatic’s staying power. Album opener and lead single “Drive,” “Try Not to Breathe,” “Nightswimming,” “The Sidewinder Sleeps Tonite,” and my personal favorite, “Find the River” all rank among R.E.M.’s greatest compositions of their prolific recording career. Hence why the Albumism team and I can’t wait to get our paws wrapped around the forthcoming 25th anniversary deluxe edition of this enduringly brilliant album. Due in stores November 10th, the special CD/Blu-ray box set includes the original album remastered, 20 rare demo tracks, a pair of previously unreleased songs (“Mike’s Pop Song” and “Devil Rides Backwards”), the accompanying music videos, the November 19, 1992 live performance at the 40 Watt Club in the band’s native stomping grounds of Athens, Georgia, expanded liner notes, and a 60-page book containing photos by Anton Corbijn and Melodie McDaniel. A treasure trove, indeed, which also includes a remastered vinyl edition for those of us wanting to make good use of our turntables.